ROCHESTER, IN– The family of a patient of Life Care Center of Rochester who died after suffering a serious head injury has filed a nursing home neglect and wrongful death claim against multiple corporations and individuals alleged to have been responsible for negligent care at the facility. According to the complaint filed with the Indiana Department of Insurance, the woman was allowed to suffer multiple falls after becoming a patient of the dementia unit, suffering injuries to the head including a massive subdural bleeding and brain swelling. According to the complaint, the patient was admitted to the hospital after the last fall, where she died two days later. 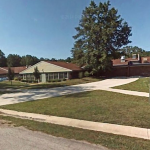 The complaint alleges that an Indiana State Department of Health (ISDH) investigation found that a staff member confessed that the facility only had one staff member working on the secured dementia unit where 13 patients were housed during the time period at issue. 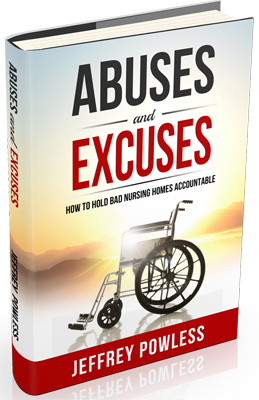 The complaint further states that the facility’s director of nursing told the ISDH investigator that “no one” was supervising the dementia patients who needed assistance when the single staff-member was assisting a patient to the restroom. According to the complaint, the Indiana State Department of Health has repeatedly cited Indiana facilities operated by Life Care Centers of America, Inc. for failing to provide care that complies with the minimum standards of care set forth in state and federal regulations. 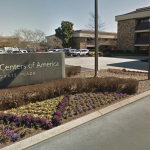 Life Care Centers of America, Inc. is a Cleveland, Tennessee based for-profit corporation which operates more than 220 skilled nursing homes across the U.S., according to the complaint. In support of its allegations, the complaint states that the Defendants “have engaged in a history and pattern of practice of wrongfully choosing to place corporate profits over the needs of their patients.” In support of that allegation, the complaint states that Life Care Centers of America, Inc. was the subject of a Federal False Claims Act lawsuit brought by the U.S. Justice Department that was settled for $147 Million in 2016. 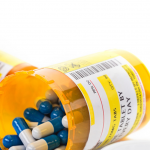 That lawsuit involved allegations that the nursing home corporation knowingly caused its facilities to submit false claims related to the care of its patients to Medicare and TRICARE, according to the complaint. The complaint alleges that Defendant Forrest Preston, founder and sole shareholder of Life Care Centers of America, Inc., was also the subject of a false claims charge brought by the U.S. attorneys alleging that “he unjustly enriched himself by receiving Medicare funds that he was not entitled to.” Court filings in those proceedings stated that employees were frequently told by the Chief Operating Officer of Life Care Centers of America, Inc. that their job was “to make money for Forrest Preston,” according to the complaint. According to the complaint, the claim is being filed preliminarily before the Indiana Department of Insurance for an initial determination as to whether Defendants were “qualified” health care providers and their negligent acts covered byIndiana’s Medical Malpractice Act, and that once those issues have been resolved, the matter will be filed in court. According to the complaint, the named Defendants have refused to accept responsibility for the harm to the victim. The complaint if a public record on file with the Indiana Department of Insurance. Our investigation into these matters is continuing. If you are a former employee of a Life Care nursing home, or have information related to the subject matter of this claim, please contact us at 877-769-5377.